Foreign Exchange market is the unregulated market, you cannot accurately know when it turns up and when it falls. 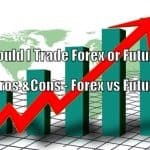 The foreign exchange market is charged from the traditional/old forex market. Due to the invention of the internet and modern technologies, forex trading became more flexible, you can start trading from the comfort of your home. Due to the internet, Electronic Communication Networks came into existence for the purpose of electronic trading. 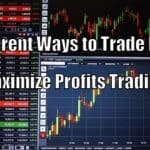 As forex trading is very risky and which may result in substantial losses, many countries consider forex trading as illegal and banned Forex trading, while some countries have important restrictions in their nation related to forex trading. So, In which countries is FOREX trading illegal? 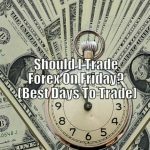 There are some countries where either forex trading considered as illegal or they have some rules and restrictions for forex trading. Those countries are Belarus, China, India, Iran, Saudi Arabia, Canada, Pakistan, South Korea, Japan, and Turkey. 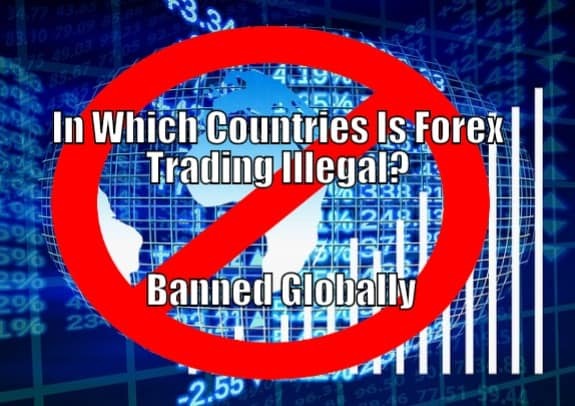 These are countries where either forex trading is banned or they have developed some restrictive rules regarding forex trading. Why Would A Country Ban Forex Trading? Foreign exchange trading is not the safest thing you do. Forex market is the riskiest market for retail traders, especially for new traders. And, the fact is, most of the traders fail in this market. It is estimated that around 96% of forex traders lose money and end up quitting trading. Hence, this market consist of high risk. With the high risk, it also gives a huge return to traders, if the trading strategy is clear and a trader has good risk management skills. But the bitter truth is only 4% of people survive in this market for long-term. 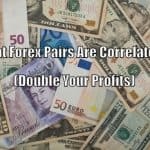 This is the reason why many countries have banned the forex trading while other countries have imposed many rules and restrictions for forex trading. Due to such features of the forex market, the government of a country would not like the citizens of their country to invest in the trading in which around 96% of the traders faces loss. This is the basic reason why government make regulations for this market and keep updating new regulations for the forex trading. As it contains a huge risk factor, for the safety of people, countries impose some restrictions for trading. Many countries view this market as gambling, hence for the safety and protection of citizens, countries impose such restrictions. Through leverage in the forex market, it may lead you to the illusion of control. Leverage helps to trade with the money you don’t have, hence, it leads to the illusion of control. Losses don’t feel real with leverage. This is the reason why brokers give traders more leverage because, in the end, they are liable to pay the money. So, this is the main and important reason why some countries banned forex trading while some countries have imposed strict rules. A country has either Fixed exchange rate system or Floating exchange rate system. In the floating exchange rate system, the price is determined based on demand and supply the currency. In the floating currency system, the price does not becomes stagnant, it changes based on some factors. While some countries who have a fixed exchange rate system, central bank and government try best to keep the price of their currency stable. The fixed currency system is another reason why some countries ban forex trading or impose some regulations on it. Countries with floating exchange rate system, generally impose fewer restrictions on forex trading as comparing it with countries who follow the fixed exchange rate system. Because in the fixed exchange rate system, the government and central bank try their best to keep the currency’s price stable. So, these are the two main reasons behind restrictions or ban of forex trading in some of the countries. The ban is either for the safety of citizens in the country or due to their fixed exchange rate system or both. Forex trading is legal in China but the stringent capital controls do not allow traders in China to open the account with any foreign brokers. The investors in China can only open the account with Chinese brokers only. International brokers can attract Chinese traders by setting up their local company in China. So, this is one of the main restriction in China for retail forex trading, traders should sign up with a broker within the country. 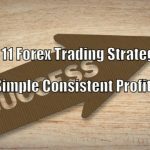 The Japanese retail forex trading company is very competitive and it is in a boom for a quite long time now. The Financial Services Agency allows Forex traders in Japan to operate only through domestically licensed brokers. 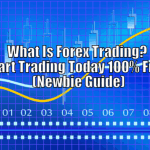 Forex traders are not allowed to sign up with the broker which is not domestically licensed. Japan also has a heavy restriction on margin trading – 1:25 for major pairs of currency. Retail forex trading is legal in India but it is legal for only registered exchanges. It is not legal for Indian forex traders to engage in spot currency transactions. Another restriction on retail forex trading in India is, trading is allowed only with Indian Rupee (INR) currency pairs, for example, EUR-INR, JPY-INR, GBP-INR etc. such currency pairs. Thus, Indian forex traders cannot trade without the INR currency pair. This restriction puts retail forex traders into a rather more poor situation as compared to the rest of the world. The restriction in South Korea is the mixture of the restrictions in China and Japan. South Korean traders are not allowed to open the forex account with foreign brokers due to capital control, similar to China. At the same time, the brokers in South Korea provide very restricted trading conditions due to strict regulations. And, the maximum leverage for forex trading in South Korea is 1:10 only. Hence, retail forex traders in South Korea cannot open foreign exchange account with foreign brokers because of strict capital control in the country. Recently, Turkey has enacted the regulations, the retail forex traders in Turkey are not allowed to work with foreign brokers. It is also mandatory for the broker’s company in Turkey to license by Capital Markets Board of Turkey to allow in retail forex trading. Another regulation is, the maximum leverage must be 1:10 and the minimum deposit is 50,000 Turkish Lira when dealing through such brokers. The regulation for leverage is very less that is, only 1:10 maximum leverage for the traders. Hence, the FX market is the very unregulated market which does not have a guarantee of getting a return after investing in it. It is very risky for a new investor to invest in this market. As a new trader, you should not directly start investing in this market, learning basic concepts is very important. Due to such risks, many countries have imposed restrictions into the forex market for the safety of citizens and for the purpose to keep currency stable. 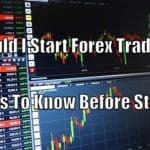 Due to the above mentioned two reasons, most of the countries have imposed some stringent regulations on forex trading while some countries banned forex trading in their country.